Tool & Equipment Archives - Page 3 of 3 - Power Of Auto World! After reading this article, you will know how to read a battery charger amp meter properly. We will break it down into simple steps, so anyone can read their meter after reading this article. Before being able to read the amp meter on your battery charger or battery tender, you must be able to connect it. 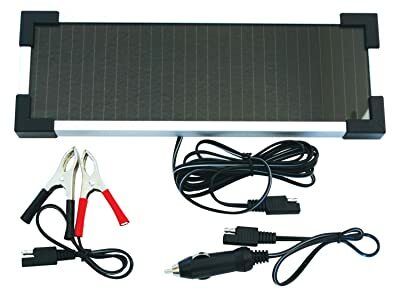 The first step to connecting it is to open the car hood and disconnect the battery from the car. To do this, you just remove the positive and negative leads from the diode. If you don't know how to disconnect these leads, it isn't that hard. First, you will need to get a screwdriver for most cars or sometimes a socket. You then just loosen the screw but don't remove it all the way. This loosens the clamp on the end of the lead. Once the clamp is loose enough, you just take the lead off. You then do the same to the other one. It is best to disconnect the positive first and then the negative. Also, while disconnecting these make sure the car is off, and the key is not in the ignition. Once you have the leads of the diodes, you just have to connect the battery charger. Depending on the type of battery charger you have might determine how you do this. Most chargers have clamps of some sort though. You also try best battery tender for car , it better than than battery charger, every one should have one. All you do is take the wires with the clamps on them, they will probably look like jumper cables, and then you hook the clamps to the post. The positive one needs to go to the positive and the negative needs to go to the negative. If you don't know which is which then just look at the post and the positive will have a plus sign on it. If you can't tell the clamps apart, then they should have a sign on them as well. A general rule of thumb though is that the positive clamp is red and the negative is black. Now that you have the battery charger connected it is time to read the meter. To read the meter, you will have to plug the battery charger in and then turn it on. When you turn it on the needle on the meter will move. If you have the charger set to ten amps, then the needle will move to that point. As the battery charges the needle will drop. Once the needle is down to about half of whatever amount the charger is set to, then that means it is fully charged. Sometimes there may be more than one needle. The needle that moves to the amount you have it set to is the one that is telling you how many amps the charger is putting out. The other needle is telling you how much charge the battery has. If yours has two needles and they work this way, then you know the battery is fully charged when the needles are on top of each other. Reading the meter on your battery charger is that simple. One last thing to know is some battery chargers also have two scales on the amp meter if it can output at different amps. For example it is not to uncommon to see a 2amp scale and also a 10amp scale. They are normally in different color numbers. When looking to see where the needle lines up you need to make sure you are reading the correct number for the output. This way you will get an accurate result. Make sure you have the dial set to what you think you have it set to. Sometimes the know can get moved or a switch flipped when moving your charger around and that could lead to you charging at a different amp then you though or you reading the wrong scale. Some newer or more expensive battery chargers may have meters on them that are digital. This is nice because it makes them easy to read, but can be confusing because you might not be reading the right thing. To read the amp output of your battery with a digital reader you will need to make sure it is on the right setting. To do this you can push the button on the control. This will cycle thru the different read out options that yours has. Some other ones besides amp might be the volt output. To make sure that it is the amp output that you are reading you can click the button and ccle thru till you see it say amp on the screen with the number. This will make it so you know you are reading the right thing. If it says volt or something else you will need to click the button and go thru the different numbers till you are at the right one. Reading a battery charger amp meter isn't all that hard. All you have to do is make sure you are looking at the right scale and when you have it connected you look at the number that the needle is pointing too. The number is how much charge the charger is putting off to the battery. When the battery gets full it won't be pulling as much charge. This means if charging at 10 amps the needle may only be at 2 amps and if charging at 2 amps the needle may have barely moved. Reading digital scales is even easier because you just have to read the number displayed and make sure that it is amps being displayed. After reading this you should be able to read your battery charger amp meter and know when your battery is done charging. Battery Minder Vs Battery Tender: What Are The Differences? Keeping battery charged is important for all kinds of things that use them. No matter if it is your car battery needing to stay charged or a motorcycle, lawn mower, or golf cart, there are a few options of how to do it. You have trickle chargers, battery tenders, and battery minders. We already have an article about the difference between a battery tender vs trickle charger, so here in this article, we are going to look at the differences between battery minder vs battery tender. Once you have finished reading this, you will know the difference and have a better idea of which one you should use. Battery minder vs battery tender: What is the difference? Battery Minder Vs Battery Tender, How They Work? First, we will talk about how both best battery tenders and battery minders work. They work in similar ways. Both have alligator clips on them that run from the control converter that you hook to the battery. The positive goes on positive and negative on negative. They are simple to use. Once you have them hooked up properly, you just plug them into a wall. They convert the AC into the voltage that the battery needs. Some have dials that you have to turn to control the output. What is the same between a battery tender and a battery minder? Outside of how they are used, that is not the only similarity between a battery tender and a battery minder. Another thing that both have in common is that they provide a float charge. This means that the charge that they send to the battery fluctuates depending on how charged the battery is. This is important because it keeps the battery from getting overcharged. If a battery gets overcharged, then it can cause damage to the battery or even worse damage to the car. An overcharged battery could catch on fire, and that would ruin the car and the area where it was being stored. Since battery tenders and battery minders have float charge built in, it means that you can leave them hooked up pretty much indefinitely. This makes them nice to use if you want to keep a battery charged thru the winter or a long period of the device not being used. You just hook it up and forget about it until it is time to use the thing again. Another nice thing is you don’t even have to pull the battery if you don’t want too. You can hook up battery tenders and battery minders straight to the battery while it is still in the vehicle. If battery tenders and battery minders have so much in common, then what makes the two different? Well, that is a good question. The only real difference between a battery minder and battery tender is that a battery minder has a desulfuration feature. The sulfur build up is what kills batteries. When the cells start getting sulfur in them, then they don’t charge all the way. The way the battery minder beats and prevents this is by sending a pulse into the battery. This destroys the sulfur that is in it and helps your battery last longer. Built into this desulfuration feature is that most battery minders also have three modes. They have the charge mode, but then they also have a maintenance mode and conditioning mode. These other mods can be used to help keep your battery in top shape. The maintenance mod can remove the sulfur without having to charge the battery. The conditioning mode can help keep the battery in a stage that it will hold a full charge. It lets the battery run down, so then it can be recharged all the way before running down again. This is important because to some extent batteries have memory. This means that if a battery doesn’t discharge all the way, the next time you let it run down it will rain faster. Then it also won’t charge back up to full when you charge it. The conditioning feature helps prevent this from happening with your car battery. So which should you get a battery tender and a battery minder? Well, both are good and honestly better than trickle chargers. When it comes to choosing between a battery minder and a battery tender though you have to consider if the extra features of the battery minder are worth it. For most people that answer will probably be no. It takes awhile for sulfur to build up in a battery, so the desulfur feature of the minders isn’t all that useful unless the battery is going to be sitting on a charger for a long time. I am talking more than just the winter here. Also, the conditioning features aren’t that helpful. Car and vehicle batteries are used to getting partially drained and then recharged, so they don’t have the same level of memory as say a laptop battery or a cell phone. This is because those things aren’t made to be plugged in all the time, but a car battery has the alternator charging it whenever you drive, and then you park but might leave the radio on or something that draws the charge and then start driving again, and it gets recharged. My point is car batteries are constantly being charged, so the conditioning won’t help the battery last longer. When Is Battery Minder Worth It Then? With that said, at times you might want a battery minder over a battery tender. Like has been mentioned, if you plan on leaving something to sit for a long time, then the desulfuring of the battery would be nice. Also, a battery minder would be more desirable if the battery you are keeping charged is expensive. If you have something with an expensive battery, then it is worth it to take the extra effort to keep that battery running and charging properly, so you don’t have to replace it all the time. So, to recap battery tenders and battery minders are similar. They both offer float chargers which means you can leave them hooked up as long as you want. The main difference is battery minders offer battery maintenance where battery tenders don’t. This means if you want to remove the sulfur from your battery to help it last longer then you need a battery minder. For most people, though they aren’t leaving their battery hooked up long enough to get the benefit from this, so battery tenders do the job just fine of keeping the battery charged. Trickle Charger Vs Battery Tender (Battery Maintainer): What Are The Differences? There may be times where you aren’t going to drive your vehicle for awhile, and if that is the case, then the battery might go dead. For example, if you have a classic car that you don’t drive in the winter, then the battery might die by next spring if you do not keep it charged. There is another maintenance to do with car that are going to set beside keeping the battery charged, but that is for a different article. Here we will cover the options you have for keeping a battery charged and which one is better. The two options that will be covered is a battery tender (or battery maintainer) vs a trickle charger. After reading this, you will know the difference and which one you should use. What Are The Differences Between Trickle Charger Vs Battery Tender? A battery tender hooks to the battery like a pair of jumper cables would. It is a box with a few controls on it and some cables coming out. You hook the jumper cable like cables to the battery and then plug the box into the wall. The battery tender then converts the AC power from the wall into the type of power that your car battery needs. The good thing is battery tenders are known as smart. This means that they are programmed to be able to tell how much power is inside of the battery. When the battery does not meet a specific lowness, then the battery tender will not charge it. If the battery falls below the required point while the battery tender is still hooked up, then it will start to charge again. This is nice because you don’t have to worry about overcharging issues which we will talk about later. Bonus: If you want to have a smart charger for fully charged battery, this is the best battery tender for car. A trickle charger is similar to a battery tender. For the most part, they can look a lot alike. A trickle charger still plugs into the wall and converts the AC power into power usable by the battery. It also hooks to the battery in the same fashion with jumper cable like cords. The trickle charger though is not smart. It continually applies a small charge to the battery. This means that even once the battery is fully charged it will still keep charging it. A trickle charger applies its power to the battery at a slower rate than a battery tender. This means that it takes them longer to get the battery fully charged. This can be a good thing if you are just plugging it in overnight, but not useful if you want to use it to keep a battery charged for extended periods. A trickle charger though is cheaper than a battery tender though, and a trickle charger has an excellent alternative use that we will talk about farther. What Happens if Overcharge Car Battery? So why is it essential to not overcharge your car battery? Well, if a car battery gets overcharged a lot of negative things can happen. First, a fire could occur. This is because if a battery gets overcharged, it will start getting hot and could explode. This is an extreme thing but is a possibility, and if it happens, then you will lose your car, garage, and a lot of other things. Another thing that happens to a car battery when it gets overcharged is it causes it to not hold a charge as well. The battery becomes dependent on being on a charger. This means that the battery will die more frequently and you will need to replace it if you don’t want to deal with it needing to be charged all the time. Lastly, even if the battery does not catch on fire, it can still crack or bust to the point that it leaks chemicals on the surrounding parts if it gets overcharged. These chemicals are very corrosive and would ruin anything they touch. Also, a battery that bust has to be replaced. Due to all these reasons, it is a good idea not to overcharge your battery. That is why for the long term you want a smart battery charger. There, however, is an excellent area where a trickle charger comes in handy, and that is if you have a parasitic drain that you can’t find. A parasitic drain is when something is drawing power from the battery when it is off and causing it to die. Finding electrical issues can be time-consuming for a car, but if you know you have one, then you can use a trickle charger each night to keep your car charged in the morning. This is because it will release a slow charge to your battery, that should be enough to counteract the drain that is occurring on it. That way you don’t have to worry about jumping your car every morning. Another time where trickle chargers may come in handy is if you have an older battery. As a battery gets older, it might start losing power with cold temperatures. This means if you live in an area that gets cold and you find your battery is dead or low a lot the morning after a cold night, that it is being drained. To prevent this, you can use a trickle charger on nights that you know it will be cold while your car is parked in the garage. Then you just have to unhook it in the morning, and you are ready to go about your day without having to jump your car. Trickle chargers and battery tenders both have their uses. Trickle chargers are good for if you want to leave your car hooked up overnight or for short periods, but since they don’t monitor how charged, the battery is they can overcharge the battery. A battery tender, on the other hand, is smart and will not overcharge the battery. We have given the reason why overcharging is bad on your battery, so that is why battery tenders are the way to go if you are going to keep the battery on a charger for a long term. Also, battery tenders charge faster, so if you need a quick charge, then they are the way to go as well. Now though you know the difference between a battery tender and trickle charger, so you can figure out which one is right for you and your needs. What Is A Battery Tender (or Maintainer)? So there are many ways to charge a car battery and depending on the circumstance you are in one might work better than others. Most people know that once the car is running, the car will charge the battery itself with the alternator, but sometimes you can’t get the car started. A common solution to this problem is jumping the car, but sometimes this won’t always work. If the battery is too low to jump or you don’t have another car around to use, then you need a different option. In this article we will cover one of those different options, and that is a battery tender. After reading this you will know what is a battery tender (or maintainer), the advantages to one, and how to use it. What Does A Battery Tender Do? The simple answer to what a battery tender does is it charges your cars battery. The way it does this is by converting an AC charge from a wall outlet, into a charge that your car battery can hold. A battery tender (or maintainer) is designed to fully charge and maintain most batteries in ways that avoid the potential damaging effects that can be caused by a trickle charger. You connect the battery tender to the battery and then plug it in. The tender converts the charge from the wall and sends it into the battery. It really is that simple. The advantage to a battery tender is that you don’t need to have jumper cables or another battery around to use it. As long as you have a wall outlet, then you can recharge your car battery. This is why it is great to have one at your garage or house. Another advantage to the battery tender is it is programmed so it won’t over charge your battery. This is good because over charging a car battery can cause major damage to it. It can cause it to leak, get hot, and other issues. The way the tender keeps from over charging the battery is it can tell how much charge is in the battery. It is preset to a specific amount and when the battery it is connected to gets to that amount it will stop charging. This means you can leave it hooked up in defiantly. One use for best battery tender then is to hook it up to a car every night to keep the battery charged if you know that the car has a parasitic drain. This way your car won’t be dead and needing jumped every morning. Also, car batteries loss charge over time just from sitting. This means if you have a car that you don’t drive often, then the battery might die. That isn’t a problem if you have a battery tender though. Instead of having to drive the car once or twice a week that you leave sitting, you can just hook it up to the charger, and that will keep the battery ready to go when you do decide to drive that car. How to use battery tender? So, how do you use a battery tender? Well, it is really simple to hook one up. Most people can do it in ten minutes or less and the more you do it the better you get. For most vehicles, you don’t even have to remove the battery. If you do decide to remove the batter though, then be sure to lift the battery out from the bottom and carry it by the bottom because using the top can damage the battery. To connect it without removing the battery though, you just remove the two terminals from the car battery starting with the negative for safety. Also, you obviously want to have the car off. Then, clamp the red positive clamp from the battery tender to the positive battery terminal. You want to make sure that the clamp is tight and won’t come off unless someone removes it. You then take the negative clamp, and clamp it to the engine block or frame. This is to prevent damage to the battery. You can clamp it to the negative terminal on the battery, but it is better NOT too. The only thing is you want to make sure you clamp it to metal and not to hoses and things. Next you can switch the amp switch, if your battery tender has one, and then plug it in to the wall. You might have to use an extension cord to get it to reach all the way to the wall. After this you want to look at the color light. If the light is red, then that means the battery tender is working and that it is charging the battery. If it is green, then that means that the battery is already charged up to the threshold on the battery tender. Depending on how dead the battery was, it might take it a little bit to charge up. It is safe to leave it charge and go work on other things or come back in the morning. After a few hours when you come back the charging should be done and the light will be green. Once the charging is done all you have to do is unplug the battery tender from the wall. You then have to disconnect it from the battery. After you have finished that you can reconnect the battery to the car. The car will now start and is ready to drive. When reconnect the battery you want to make sure to use a wrench and have them tight. If the connection is not tight, it might cause it so the car will still not start. Now you know what is a battery tender (or maintainer) is and how to use one. They really are simple to use and can come in handy especially if you don’t drive your vehicle much. Also, you know that they are safe to uses and will not damage your cars battery. A battery tender is a handy way to charge your cars battery and simple to use. All you do is connect it to the battery, plug it into the wall, and leave it till the battery is charged all the way.